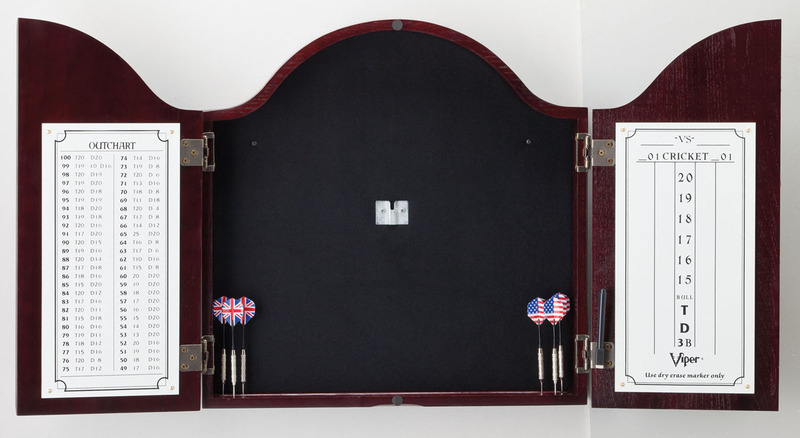 Keep your bristle board out of view with this beautiful Arched Mahogany Dartboard Cabinet. 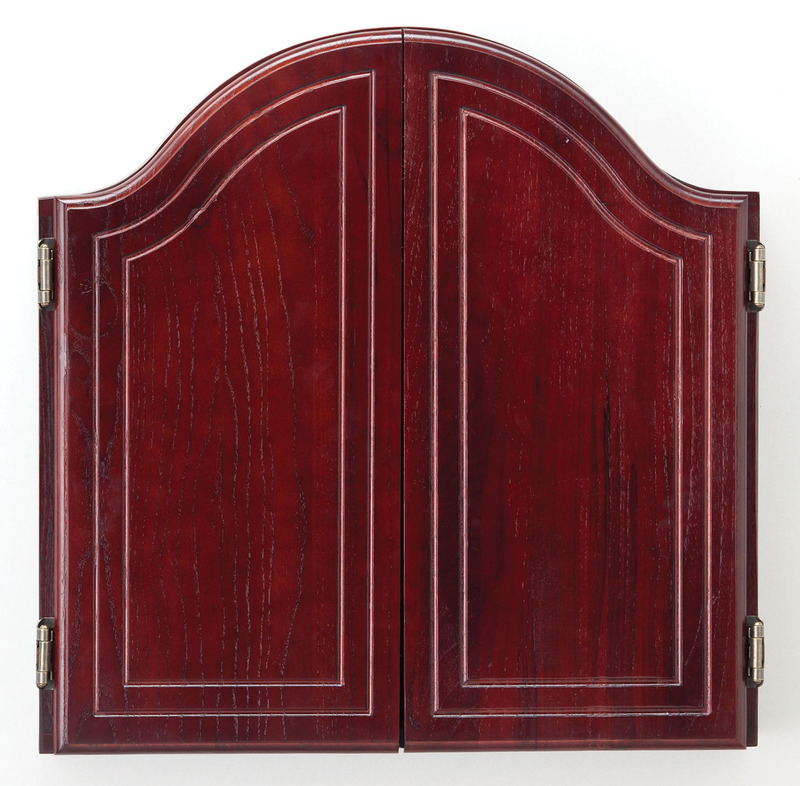 The decorative arched top, tongue-and-groove joint construction and brass hinges give this cabinet a polished look that will add class and style to any rec room. Holds two sets of darts and includes dry erase boards and pen for convenient scoring.